This post brings me to part 2 of my favourites. Yesterday you read about my favourite menswear collections/designers and today I am back with my favourite womenswear collections/designers. 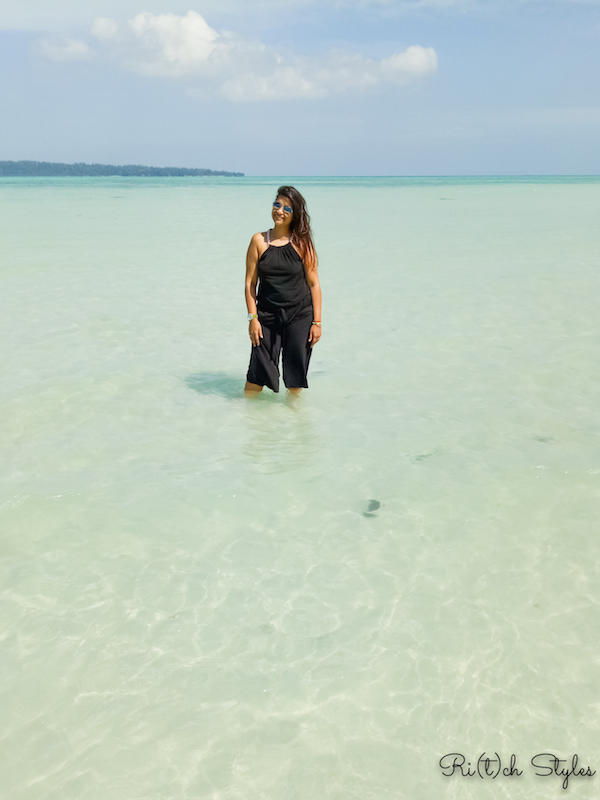 Shortlisting for this blog post has been an extremely tough job as there were so many amazing collections but none the less, I have finally succeeded in bringing you the best of the best. Let's start without any further ado. While I have done a post each on Manish Malhotra's and Rohit Bal's collections because they both were spectacular spectacular collections for men and women, there were a few more designers who had some really epic collections and they are who I am going to be talking in this post and the next. This one is going to be focused on my favourite menswear collections/designers from Lakmé Fashion Week Summer/Resort 2016. When a person like me who experiments with her hair regularly, gets to meet one of the best international names in the business, you know it is going to be a starstruck moment. 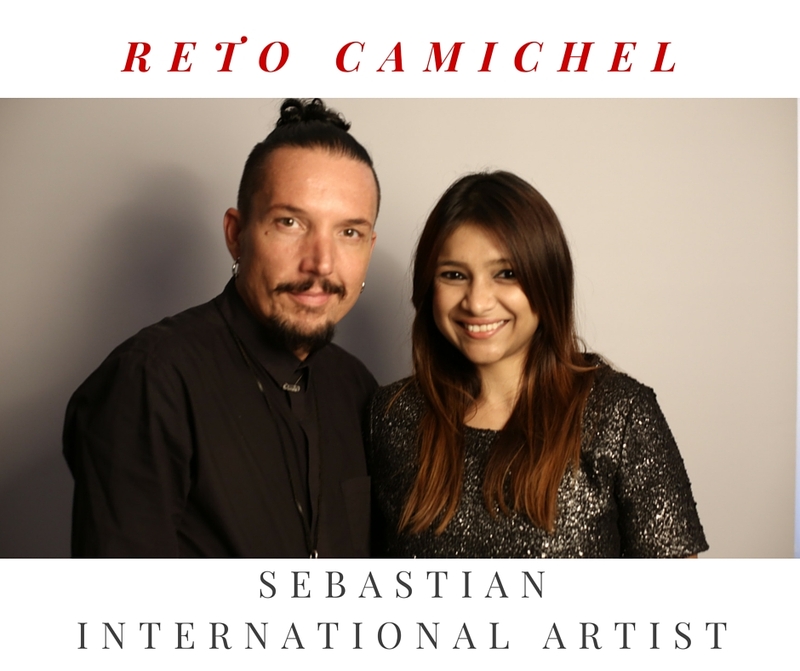 Especially when you get to meet the charming Reto Camichel, an International Artist with one of the most loved hair brands in the world, Sebastian! That is exactly what happened and it was a fun and interesting evening where he gave me some interesting insights on himself, his association with Sebastian and advice for my readers and aspiring hair artists.. Keep reading to know his amazing journey which makes for a really interesting read. Ethereal and divine, spectacular and stunning, grandiose and glamourous, dazzling and majestic, I can go on and on about Rohit Bal's breathtaking, royal grand finale to conclude Lakmé Fashion Week Summer/Resort 2016. The collection was inspired by Lakmé’s beauty statement for the season ‘Illuminate’. What added to the impact was the befitting venue - Mumbai’s iconic St. Xaviers College that was illuminated beautifully and the 3D mapping effects projected on the beautiful heritage structure were absolutely mesmerizing. I am still not over what I saw that night despite it being a good 4 days since the show. That's the kind of awe-inspiring impact the experience has left on me and I am going to show you just why I say that. I am sure by the end of this post, you are going to be using exactly the same adjectives to describe the spellbinding collection :) Lakmé’s alluring brand ambassador, Kareena Kapoor Khan was the showstopper and that was just the perfect conclusion to the season. While each piece of the collection was a masterpiece that had been made with meticulous detailing and attention , my favourite was the Ivory and subtle Gold range as those are perfect summer colours! Lakmé India is a brand women in this country swear by since the last 50 years. It was the country's first cosmetic brand to introduce make up to Indian women and has constantly striven to evolve, experiment and innovate to keep up with all the trends globally. I remember when I had to buy my first lipstick, my mom made sure that it was a Lakmé lipstick, that's the faith women have in this brand. 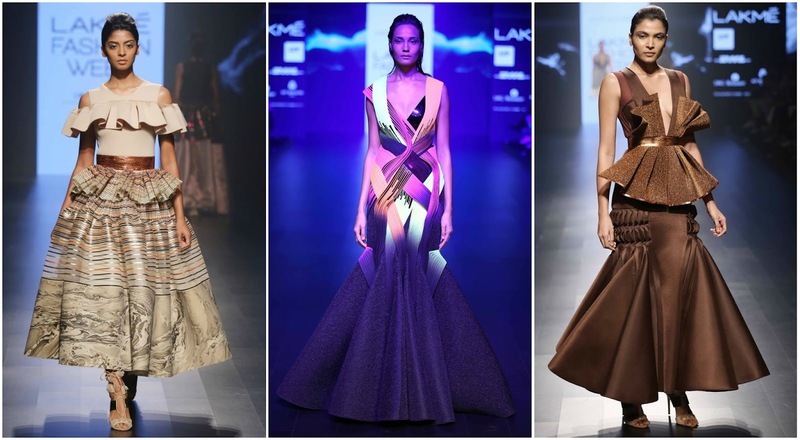 Lakmé has kept up with being fashionable forerunners by also bonding with the largest fashion event of its kind in the country, the Lakmé Fashion Week. This Summer/Resort 2016, Lakmé unveiled ‘Illuminate’ as the beauty statement for the season with their new Absolute Illuminate Range, a specially crafted range of illuminating makeup and skin care products. The whole focus at fashion week was to create the ‘Illuminate Look’ for the runway where the range was used to enhance the beauty and luminosity of the models, to increase the impact of the collections being showcased by the various designers. 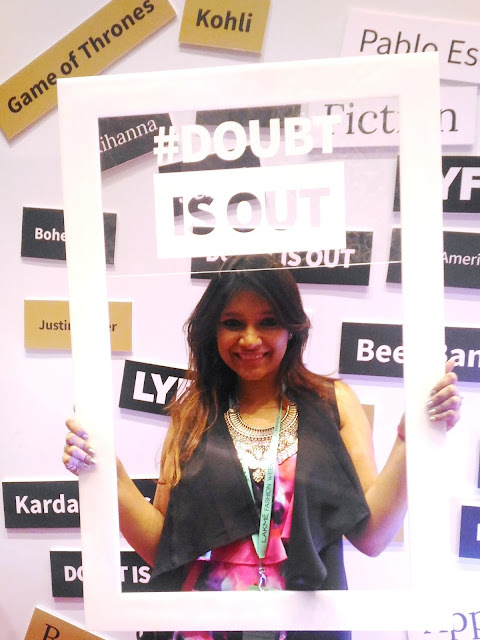 I am finally going to end the suspense about #DoubtIsOut for all of you :) The pics above must have made you super curious already I know. If you are a true fashion lover especially someone who loves to shop online just like me, this is one of the best news ever! 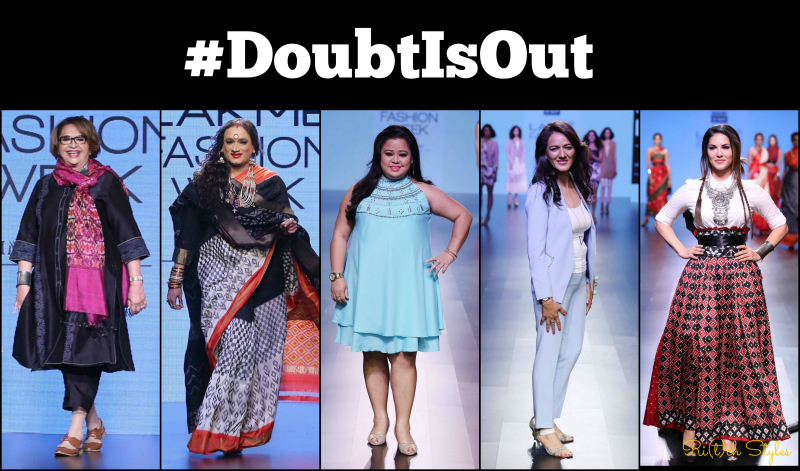 So here it is without further ado - the mystery of #DoubtIsOut ended with Reliance Retail unveiling its new trendy and super stylish E-Commerce Site AJIO.com with a grand show at Lakmé Fashion Week Summer/Resort 2016. Along with the launch of the site, it also marked the launch of their first women’s wear brand ‘AJIO Own’, a private label. Lakmé Fashion Week across its 5 days always has a lot of surprises and activities in store to keep you on the edge and this season was no different. While running from one show to other, I had been noticing the #DoubtIsOut photo wall just outside MSA(Main Stage Area) with loads of interesting tags since the beginning of this season. Wondering what it actually was and on asking what it was representing, I was simply told to wait and watch.